We have moved! 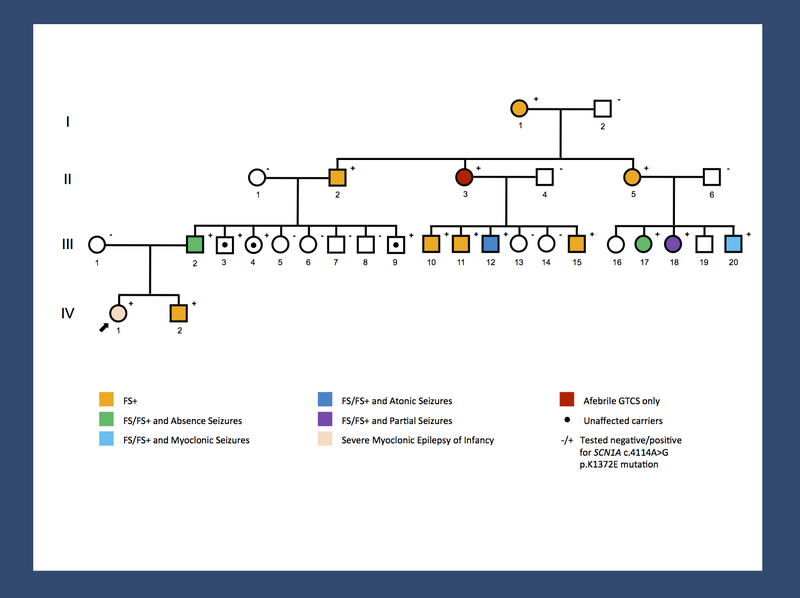 In June 2014, we moved our epilepsy genetics blog to a different site. You can find the most recent version of this post here. This entry was posted in 2014, Epileptic encephalopathy, Familial epilepsies, summary and tagged CHD2, clemizole, Dravet Syndrome, GABRA1, GEFS+, gene cluster, genetic counseling, Genetic Epilepsy with Febrile Seizures Plus, interneuron, Lennox-Gastaut Syndrome, MMPSI, modifier gene, personalized medicine, predictive testing, SCN1A, SCN2A, SCN8A, Severe Myoclonic Epilepsy of Infancy, SMEI, sodium channel, STXBP1, zebrafish by Ingo Helbig. Bookmark the permalink.